If you’re one of those ‘treps that craves a caffeine fix every morning, then you’ll definitely enjoy this place. 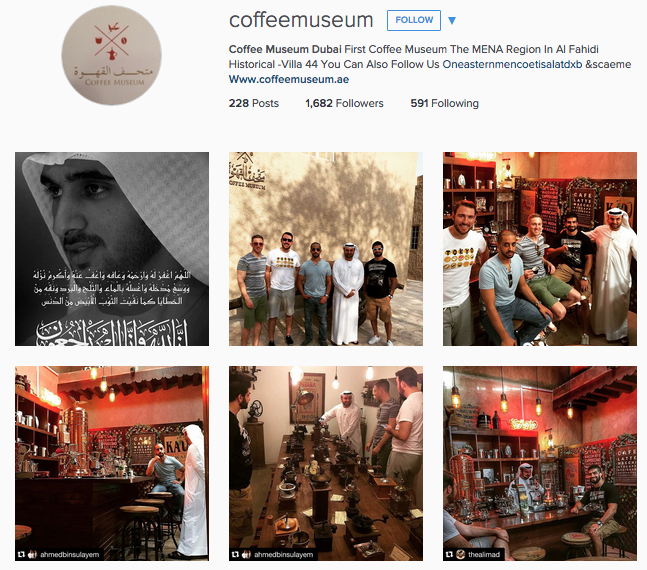 Coffee trader and collector Khalid Al Mulla opened the first coffee museum in MENA in October 2014, giving Dubai residents a taste of regional and international coffee history and culture. Situated at the heart of heritage neighborhood Al Fahidi, the museum lets visitors experience various coffee ceremonies, as well as Ethiopian, Egyptian and Emirati coffee traditions. Al Mulla, a partner in Dubai-based coffee retailer Easternmen & Co, will also feature his coffee-related paraphernalia along with antique items from Yemen, Egypt, Turkey, Syria, parts of Europe, the U.S. and Japan. The new museum boasts also of a literature room and a coffee brew bar with the latest brewing technology, adapted from Italy and Turkey.